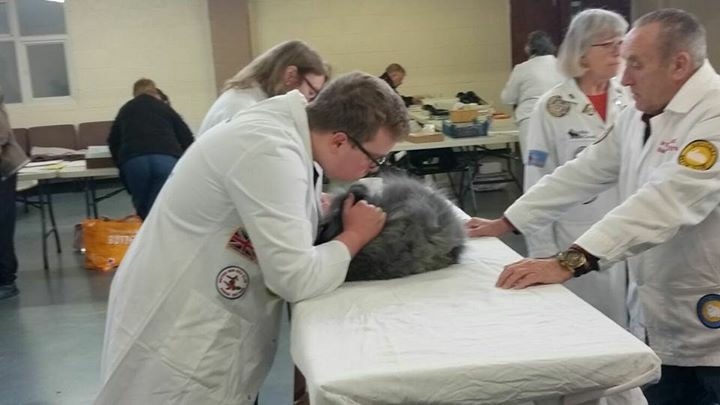 If you are new to owning an Angora rabbit but keen to see what showing is about, then here is a quick guide to how to enter a rabbit show. For further details contact us or come and talk to us on the National Angora Club stand at a show sometime. AOV – Any other variety (I.e) Type of rabbit) Found in schedules for open shows where all different breeds of rabbit meet in competition. If there are no classes for angoras on the schedule then you enter your rabbit in the AOV classes. ⁃ clipped breeding stock of good quality. The coat should be matt free and about 1” long. Condition included in judging. – Exhibit to have been bred by a member who has been with the club less than 3 years. – Entry fees donated to club funds, no prize money paid out. 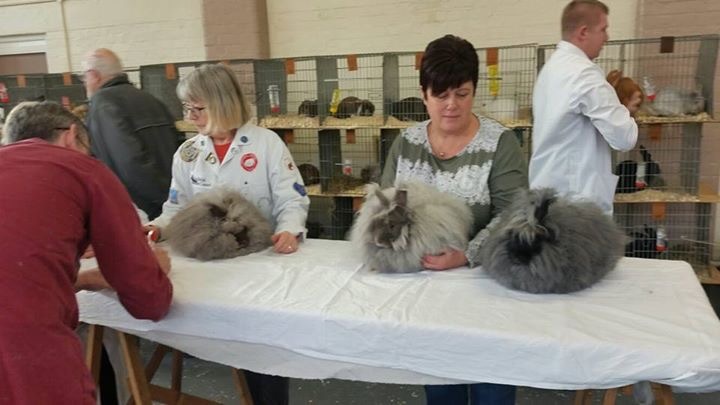 – Stock is sometimes sold at shows and so that we can keep standards high, rabbits to be sold are entered into this class and are judges on quality and condition. Adverts for shows are to be found in a publication called Fur and Feather that I s available on subscription only. The web address is www.furandfeather.co.uk tel: 01473 653789. You have to be a member of the British Rabbit Council (BRC) to show a rabbit because the identification ring the rabbit wears (Available only from the BRC at £6 for 6). If you have bought a rabbit in show coat then the breeder should have given you a pedigree and a transfer card. For a fee of £3 the BRC will transfer the number on the rabbits ring to your name. 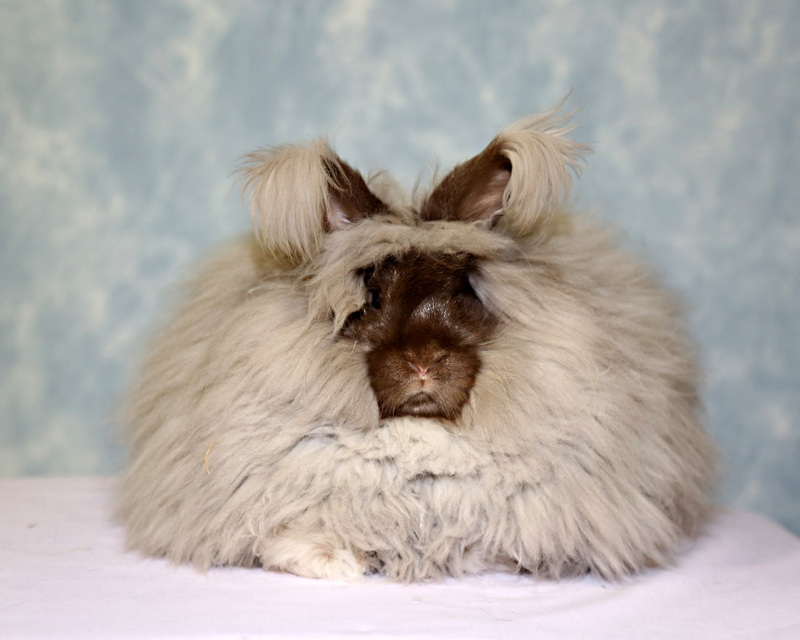 Subscriptions for National Angora Club – due 31st December each year. Posted 09/03/2018 by SM & filed under Rabbit Shows.